One of the challenges with the level of feed subscription management in feed readers is that the readers tend to default to a particular feed, which may not be the feed that you want your subscribers subscribing to. This is especially prevalent when you go to subscribe to a Blogger feed with Google Reader; Google Reader likes to subscribe to the ATOM feed of the blog rather than the Feedburner RSS feed. Unfortunately you cannot disable the ATOM feed because that is what provides content to the Feedburner feed, but you can modify your Blogger template to attempt to force feed readers to use your Feedburner feed. 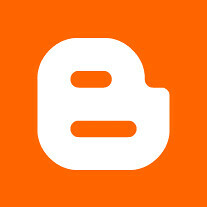 Insert/paste this code following the text above: <link rel="alternate" type="application/rss+xml"
If you are using the new version of Blogger, you do not need to do anything; in the old version of Blogger, republish the index. If everything works out correctly, feed readers should automatically pull your Feedburner feed instead of your ATOM feed. I never would have figured this out myself, so big thanks to Blogger Template Tricks.